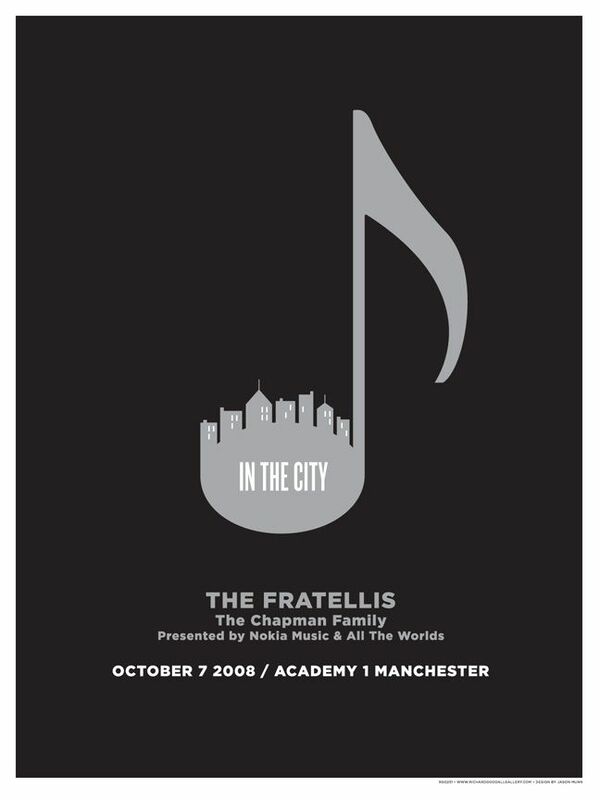 The 2008 In The City poster for the Manchester ITC music convention showcase for The Fratellis and The Champan Family on 7th October at Manchester Academy 1 presented by Nokia Music and All The Worlds. A special limited edition silk screen print in an edition of only 50. 9x12 Inches numbered print with metallic inks.